Jane Yolen, acclaimed author of over 300 works across a wide spectrum of genres - everything from board books to Nebula Award-winning Science Fiction - spends several months of the year working at Wayside, her home in Scotland. Here she heads up a group of Scottish-based Young Adult and/or Fantasy writers. Earlier this month, Jane became the first woman in the history of St. Andrews University to deliver the prestigious Andrew Lang Memorial Lecture. This being the case, it seems only appropriate to do a feature on Jane and the members of her “Wayside Circle”. Who are the Wayside Writers? First and foremost, of course, there is Jane Yolen herself, who is perhaps best described as sui generis. Jane has written a number of books on Scottish themes. Several years ago she invited my husband Robert Harris1 to be her writing partner for The Queen’s Own Fool (click on the title to read an excerpt), told from the point of view of Nicola, a young girl who becomes the personal jester and loyal companion of Mary Queen of Scots. Following the success of this novel, they were commissioned to write three more Scottish historical novels (The Girl in a Cage; The Prince Among the Heather, and The Rogues) which now make up the Stuart Quartet. Next on the roster is adult fantasy author Lisa Tuttle, another American ex-pat who has taken inspiration from her Scottish surroundings in a number of her novels. Two favorites of mine are The Silver Bough, which revives an ancient fertility rite in the remote Scottish village of Appleton, and The Mysteries, in which a private detective follows the trail of a missing girl into the Scottish highlands and discovers she may have discovered a portal to a perilous faerie realm. Another adult fantasy writer is Elizabeth Kerner, author of the best-selling novel Song in the Silence and its two companion novels, The Lesser Kindred, and Redeeming the Lost.2 Elizabeth K. shares with Jane a love of dragons and the distinction of being able to write wonderful books on the subject. Better still, they do it from two completely distinctive perspectives. Next on the list are two YA novelists, Annemarie Allen and Caroline Clough, both winners of the Scottish Kelpies Book Prize. Annemarie’s prize-winner, Hox, features a sinister research institute in a remote area of the Scottish highlands where unscrupulous scientists conducting genetic experiments on animals have accidentally produced a telepathic super-cat. Caroline’s prize-winner, Red Fever, chronicles a family’s struggle for survival in a post-apocalyptic Scotland where most of the human population has been wiped out by a killer virus. Both novels are complete spell-binders. Last, but not least, there is YA author Elizabeth Wein, whose WWII historical novel, Code Name Verity, was released earlier this year. The novel features parallel narratives by two close friends, Maddy and Julie, the former a pilot, the latter an intelligence operative for the RAF. When Julie is captured and interrogated by the Gestapo, she must tell the truth in order to survive long enough for Maddy to try and rescue her. A heart-breakingly beautiful juggernaut of a novel. And I get to come along, too. What a great life! 1Bob is the only male member of the Wayside Circle thus far. He says, "It’s a dirty job, but somebody has to do it.” We let him stay, anyway. 2Fans of the trilogy will be pleased to learn that Elizabeth’s signed up to do a further trio of novels set in the world of Kolmar. As her friend and beta reader, I can testify that they promise to be corkers. What a fabulous list of authors and books! What a fun group! I think such elite writers' groups should be encouraged here in the States. Gathering several imaginative souls in one room should inspire creativity far beyond what one can generate alone. I'm curious to know more about the function of the group. Do they support one another creatively (critique, plot brainstorming, etc.) or is it a marketing collective? Glad you visited my blog so I could find yours! Looking forward to more posts :) All those books sound fascinating. Thanks for sharing the information on The Wayside Writers' Circle. Sounds like a very successful group. I was surprised to read about Jane Yolen in Scotland. I know her name as an American Children's author who has won various medals here (including the Caldecott. )I went to Amazon to check the author page for the Jane Yolen here, and their pictures are very similar. Wondering if they are related? 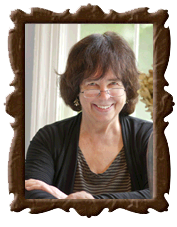 You and your husband are so lucky to be part of Jane Yolen's group! I'm envious!! Groups are a great way for authors to stay encouraged and help each other achieve their goals. Thank you for this, Debby! Jane and Lisa were close friends of a dear friend of mine, Melissa Mia Hall (acclaimed horror author, editor, book reviewer), who passed away almost two years ago. We all miss her, and your post about them warmed my heart. And I know Melissa is smiling :) Please tell them I said hi! Jane Yolen here. Only one in the world. (Despite a couple of FaceBook posers.) I have a house in Scotland where I spend 3-4 months of the summer.